Yes. Toast. And Yes. On a grill. The Tefal OptiGrill to be precise. When I moved back into my flat last year, I had to be selective about which kitchen appliances I brought with me or purchased. After deciding a Vitamix was a definite, I had to forgo a toaster so I could still have a kettle and microwave. Other appliances creeped in over the last 12 months, namely my waffle iron and stand mixer) but after tucking them away in cubbyholes I’m out of space so it took some convincing to go ahead and get this grill. It’s currently housed between my kitchen counter, dining table and dining chair depending on if I’m using it (which seems to have been every day since its arrival) and when I need the space to cook on the actual stove. Turn on your OptiGrill and choose the Manual Mode. 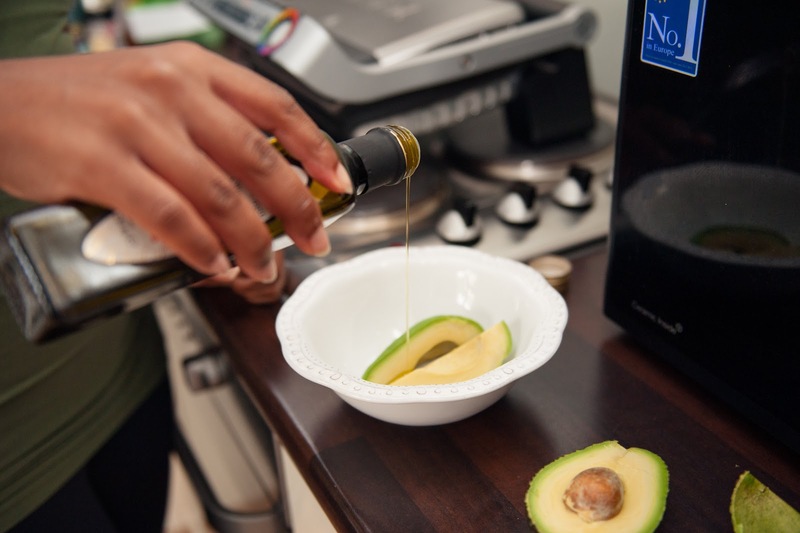 Whilst the grill heats up; peel and de-stone your avocado. You can either smash it in a bowl by hand with a fork or sometimes I use a stick (hand held) mixer which creates a smoother texture. Place your bread onto the grill plates and close the lid. Set a timer for two minutes, by which time the bread should be golden, crispy on both sides with the grill marks visible. 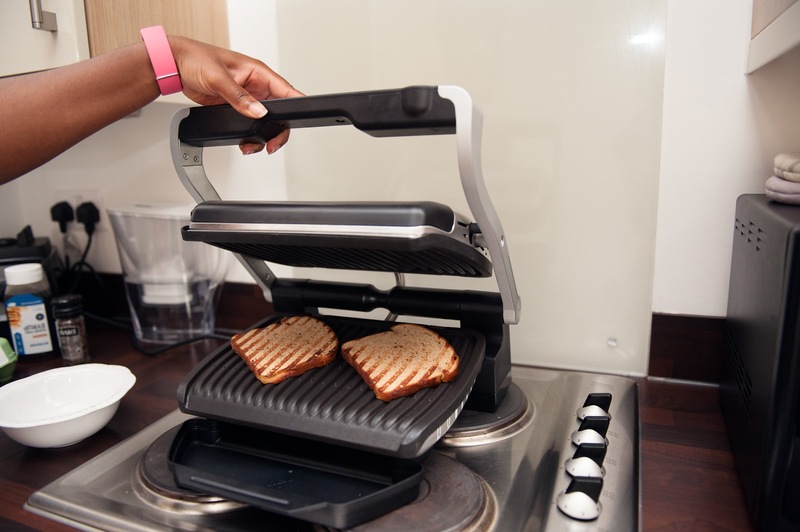 Once the two minutes is up, plate your toast ready for the toppings. Turn off your grill and turn back on again, this time choosing the bacon preset programme. 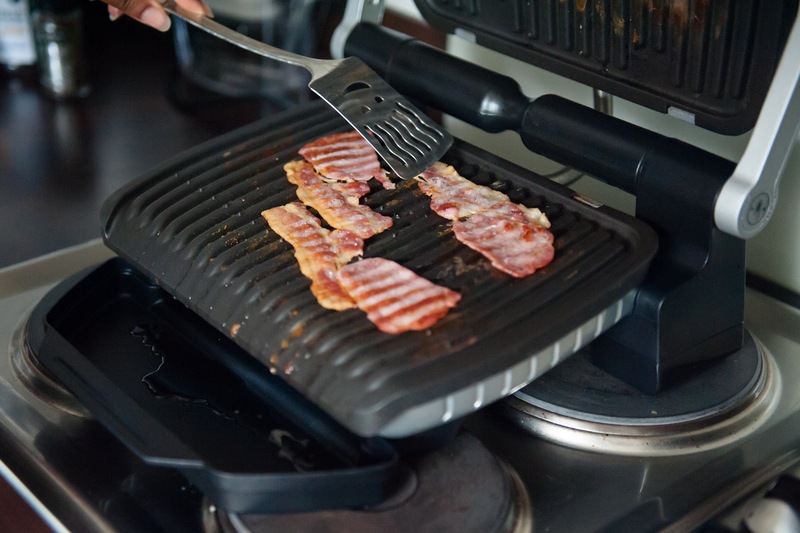 Place your bacon under the grill until the coloured sensor beeps to your desired cooking (I like it crispy). 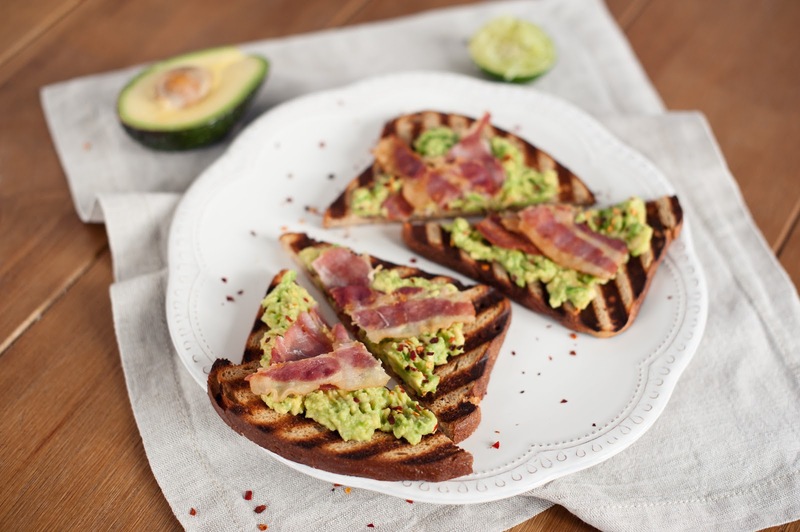 Whilst the bacon is cooking, season your smashed avocado with the juice of 1/2 a lime, a drizzle of olive oil and a dash of black pepper. 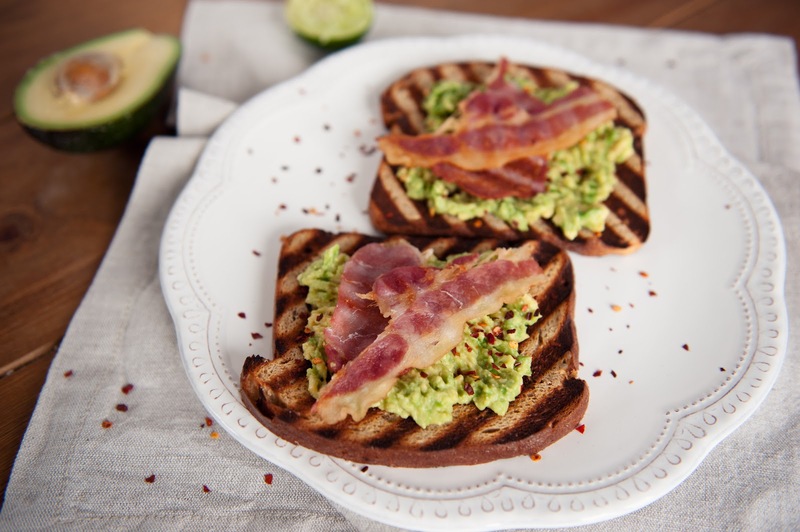 Spread your smashed avocado over your toast and sprinkle on chilli flakes. Add bacon to each slice of toast. I have found this grill so easy to use it’s ridiculous! Firstly, the plates are removable which makes it super quick and easy to clean (my grill from times gone by would sit on the counter dirty for days until my mum came to visit and would clean it for me! Thanks Mum!). I’ve learnt that you can, and have to, trust the preset programmes for various meats. The first time I cooked sausages on the grill, I trusted it and they cooked perfectly. Probably the most evenly cooked sausages I’ve ever cooked. The second time, I did’t trust the programme, stopped it too early (by turning it off too) and then had to use the manual programme so they came out charred and dry (but thankfully still edible). 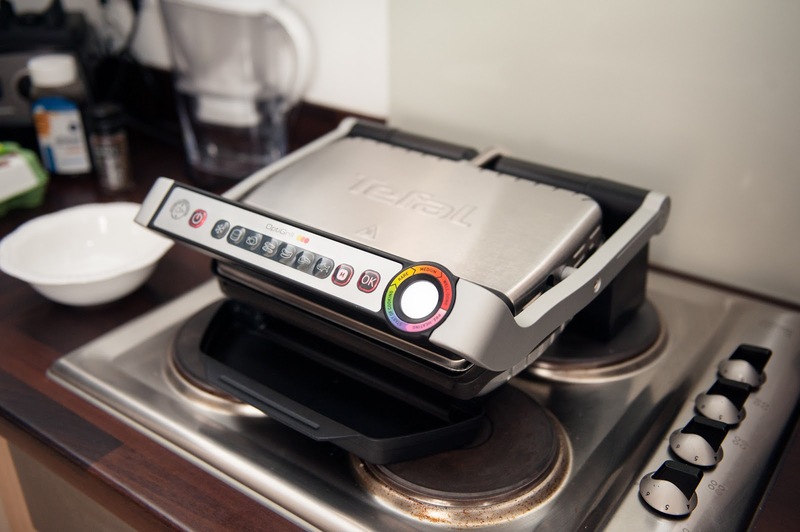 The only issue I’ve had with the Tefal OptiGrill has been that on occasions, it won’t use a programme and defaults to manual. After reaching out to the team on Twitter, they told me it may be because I hadn’t replaced the plates properly. When I tried replacing them (and also drying them a little) everything seems to be okay. There’s a little light on the handle which changes colour based on how well cooked your meat is (the colours are dubious in my opinion early on in the process) allowing you to cook (for example) your steaks to preference of you and your guests all in one go. The programmes mean that it measures the thickness of your meat and then adjusts the cooking time and temperature to suit. Pretty snazzy, eh?! Until then, I’ll be sharing my culinary skills with you in this three piece Two Minute Toast series so make sure you check out recipe number two! How do you like your avocado on toast? !